We’ve expanded our Saisumpan branded supplements. For many years we have been selling Dr Eddie’s (Edward International USA) branded supplements. The only supplement we had under our own brand was the Turkey Tail Mushroom. 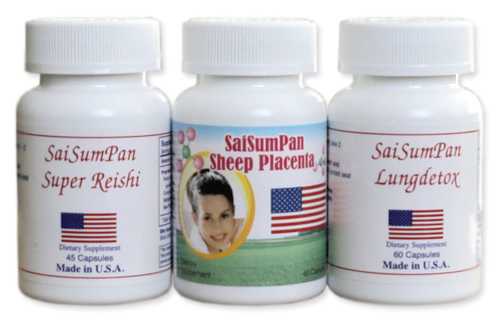 Now we are introducing Super Reishi, Sheep Placenta, and Lung Detox under our own Saisumpan brand. They are still the same proprietary formulas, manufactured in the United States by FDA registered / NSF certified GMP facilities. Nothing has changed but the brand and the price! Because we’ve branded as our own, we can offer these great products at a much lower price. Categories: Product Announcement | Tags: dietary supplements, lung detox, new products, reishi, saisumpan, sheep placenta | Permalink.